B-Grade Lithium Polymer packs are great for those not-so-important models or testing. They have a high internal resistance (thats bad), normally wont last past 60 full high-discharge cycles and may become puffy over time. B-Grade packs are structurally sound, but lack the performance of our A-Grade packs such as Flightmax, Rhino and TURNIGY. 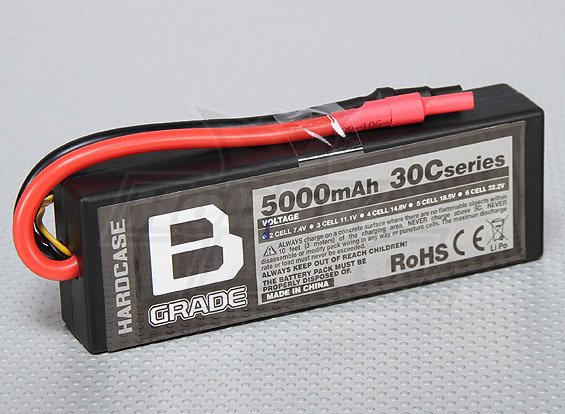 hexTronik usually sells B-grade batteries to smaller vendors who in turn sell online at a discount. However were now offering them to you at discounted prices, for those not-so-serious applications.